By EA Katherine, Southern West Bank. 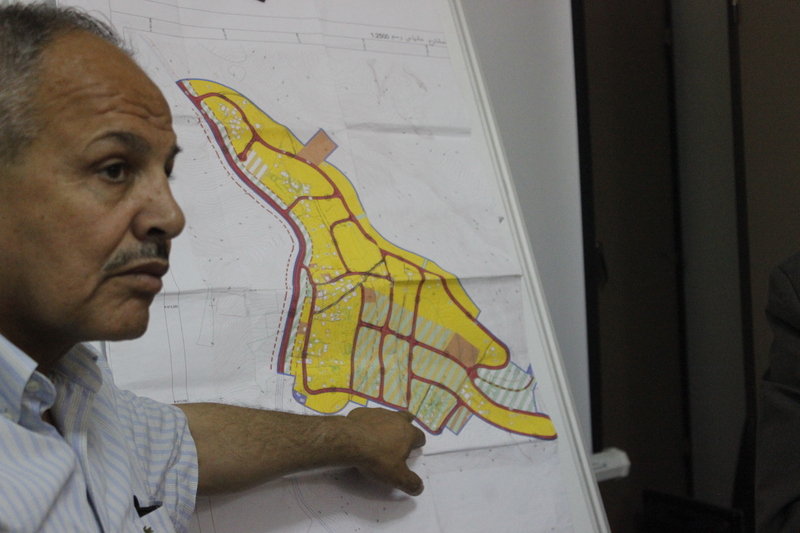 Mayor Abu Anwar carefully unfolds a large map. We struggle to hold down the edges against the wind which is whipping around the village of Kisan on the edge of the Bethlehem wilderness. 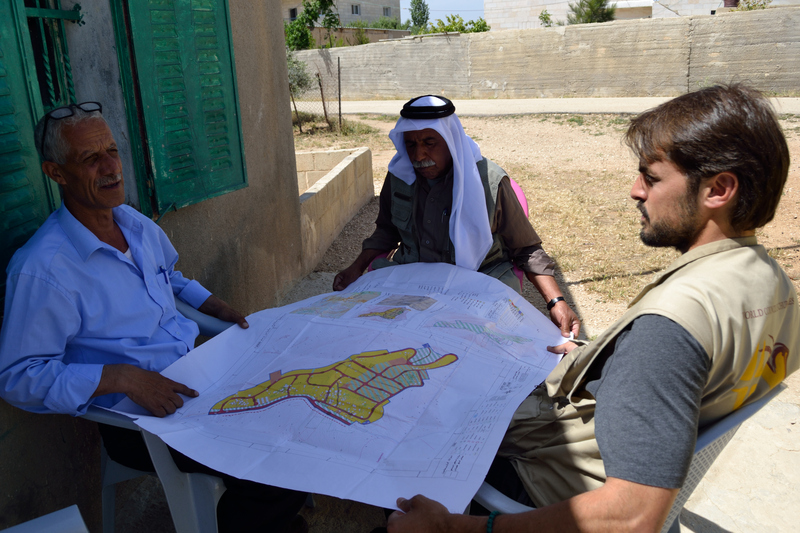 The colour-coded map is a technical planning document, but it is vitally important for the future of this village. On this hot afternoon his warnings about how the village already has little water pressure and will soon lose supply completely for the summer are alarming. The list of problems the village faces goes on. Twenty-eight houses are scheduled for demolition and the village is banned from putting in temporary classrooms for a school. A new Israeli industrial zone built on land seized illegally nine months ago is now pumping out dust that makes it difficult for people to breathe and creates earth tremors that have caused cracks to appear on at least eight houses. If the colour-coding on the map is approved, it could wipe away all Kisan’s problems. For those used to local government planning processes, the problems that Kisan faces might seem logical. There is no master plan for the area, so when a planning application is submitted the authorities reject it. After all, how can they tell if a residential property should go in this area or an agricultural building in that area if no decisions have been taken on which areas should be residential and agricultural? So, if building commences without permission, an order to stop work is issued. If it carries on, an order to demolish is issued. Finally, bulldozers will come in the early morning to raze it to the ground. However, all is not as it first seems. The planning authority for 60% of the occupied West Bank, known as area C, is the Israeli Civil Administration (part of the Israeli military). They have facilitated the development of illegal settlements for Israelis in area C that are fully integrated into Israel’s national power grid, water and telecommunication systems. 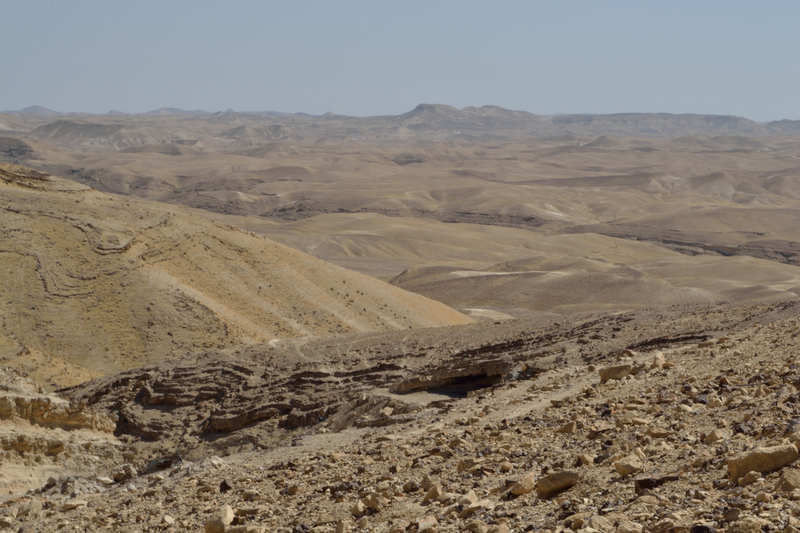 They have, however, approved only three master plans for Palestinian villages for the whole of the West Bank out of the 100 that have been submitted over the last four years. Article 43 of The Hague Regulations and Article 64 of the Fourth Geneva Convention say the occupying power should administer the occupied territory on the basis of what is in the interests of the local population, not their own interests. Article 53 of the Fourth Geneva Convention says that any destruction of personal property is prohibited, except where it is absolutely necessary for military reasons. In May 2015, an international group of expert planners reviewed the master plans that had been submitted on behalf of the UN and found that the plans are technically sound and the current situation is not necessary for Israeli’s security. UN Habitat, the UN’s agency for sustainable urban development, concluded: “Planning practice has been militarised, so that instead of carefully weighing potential security gains against the impact on Palestinian livelihoods, there is a complete prioritisation in favour of Israeli interests”. Saber from Bethlehem’s Joint Council for Services Planning and Development, explains that Palestinian villages in area C are the poorest. They don’t have money to invest in infrastructure like water and electricity. 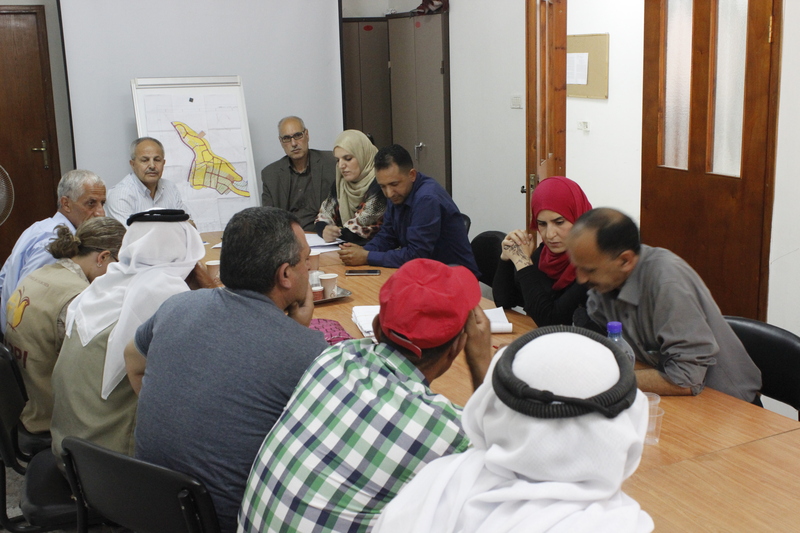 When his council tries to get funding for these villages most in need, donors withdraw as soon as they find out it is in area C. We see the consequences of the lack of master plans as we meet people around Bethlehem governorate. 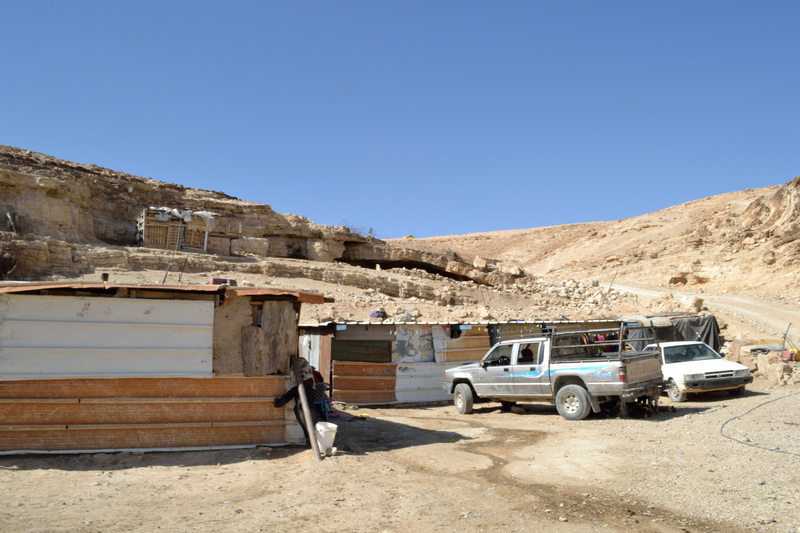 On the edge of the wilderness, the Bedouin community of ‘Arab ar Rashayida al Barriya nestles in the hillside out of sight yet the shelters that are home to 34 people are under threat of demolition. 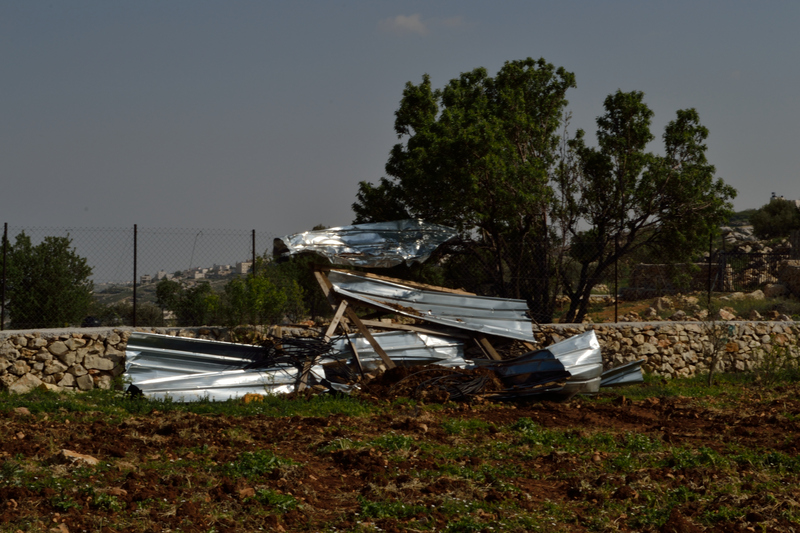 In Khirbet An Nahla we see the remains of a flimsy agricultural shelter demolished the day before. Not even a temporary structure was allowed to stay. 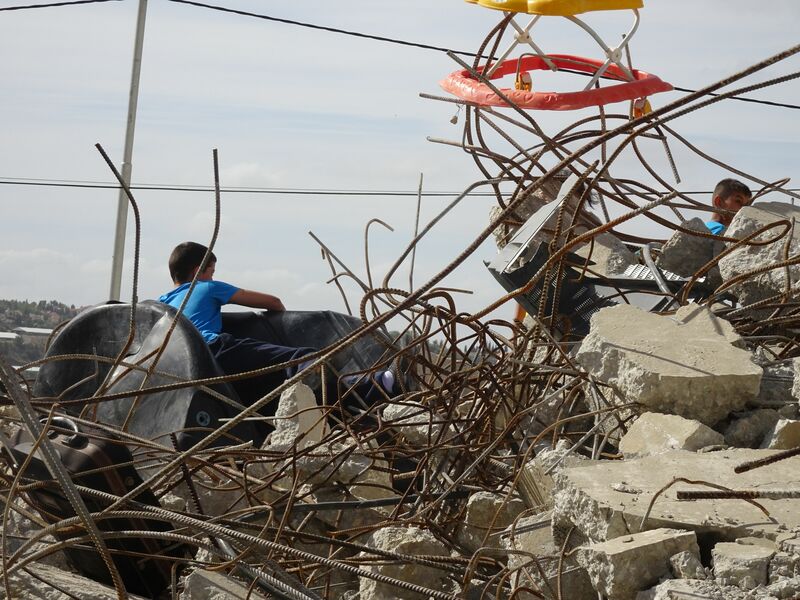 In Al Walaja we meet a family woken at 4am that morning to inform them their house was about to be demolished. 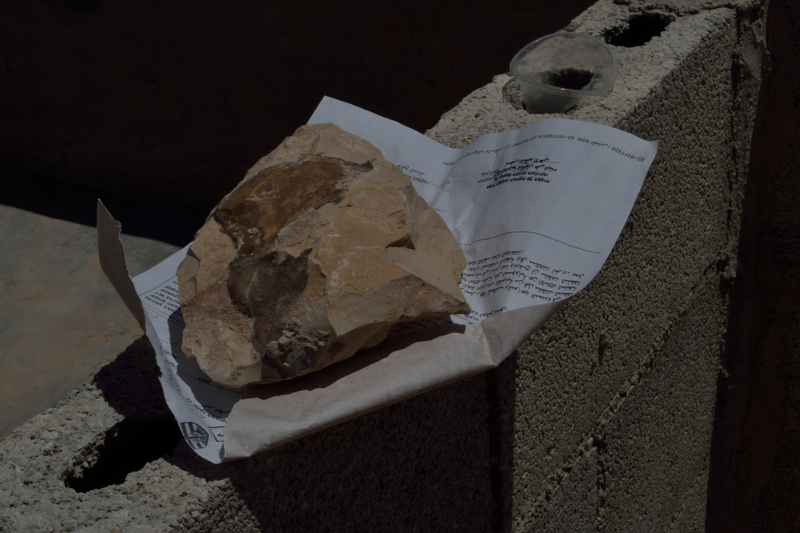 We see their possessions buried under the rubble as they had no time to remove them. The day after we visited Kisan we join villagers, engineers, a professor specialising in master plans and local government officials in a UK aid funded consultation on the Kisan master plan. In between discussion of whether to mark an area off for public land in case they can build a playground or school in the future, or how to fairly take land from different families to construct a proper road through the middle of the village, Professor Rassem Khamaisi turns to us. “We need you to get your governments to lobby the Israeli government to approve these master plans. Without that approval this is all nothing”, he says. 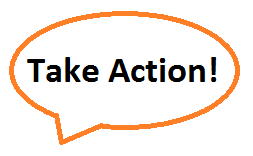 Write to your elected representative and ask them to contact your country’s International Development Minister and Foreign Minister on your behalf to find out what plans they have at a political level to resolve the inability of Palestinians to get building permits which leads to demolitions. Challenge those who criticise development without permits for Palestinian in area C, ensuring they understand that the Israeli Civil Administration is holding up approval of Master Plans which would enable permits to be issued, and that there is no technical impediment to their approval. This entry was posted in Current EAs, Demolitions and forced displacement, Economic conditions, Impact of occupation on children, Military violence and harassment, Settlements, Southern West Bank. Bookmark the permalink.